This post started out as a Woman Crush Instagram of some sorts but I can't possibly write about how amazing this woman is in a box that small. I've been a history nerd forever but I felt like sharing Sisi's story as her emotions seem so relatable to women of today. I can totally picture her as a Queen of Tumblr. I can also imagine her tweets. I don't think they would be so different from mine. She was obviously very misunderstood for her time, which makes her such an interesting person. Depression is still so frowned upon, I see the inability of people I'm close to writing it off as something I can just "get over" daily. I can't imagine what people must have thought about her in such a un-feminist, royal society. Empress Elizabeth aka Sisi, is my spirit child. She had what might have been the best natural hair game in all of history. With headache inducing, thick hair that almost reached the floor she did weekly protein treatments and scrutinizingly plucked greys. It took her and her ladies an entire day to do her hair. Her maintenance wasn't just used for relaxation, Sisi studied multiple languages during her pampering. Sisi was known for her beauty and the extreme lengths she went through to maintain it. She was one of the first people in the world to install a home gym. 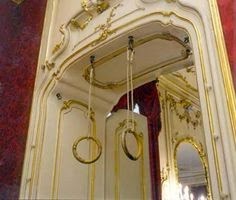 She had gymnastics equipment in a castle, she went hard IN A CORSET. At her thinnest, her waist was 16". The Empress was also known for her unexplainable depression. Sisi was a member of the Royal family of Bavaria but not from the line that actually sat on the throne. 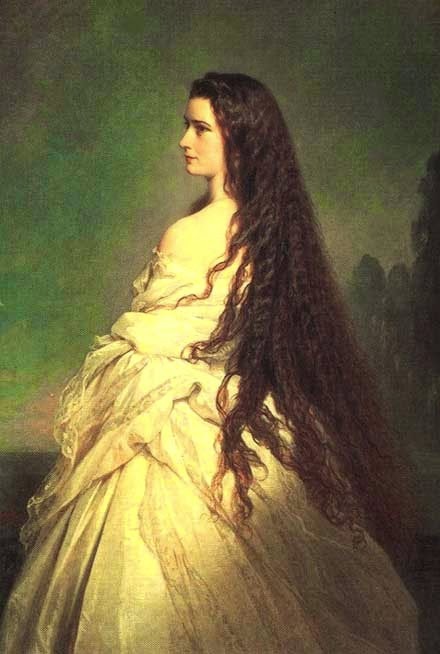 Sisi wasn't properly groomed for the chance at royalty but I would argue it wouldn't have made much of a difference. 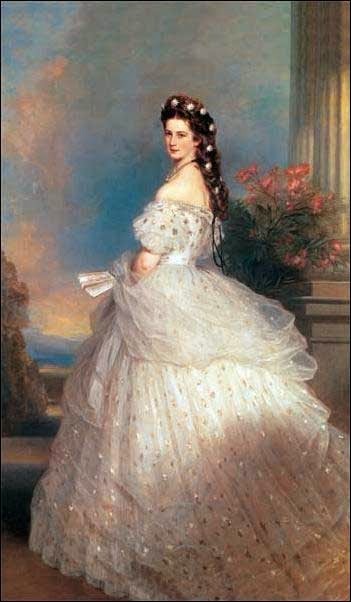 An arrangement for her sister Helene and Emperor Franz Joseph was put in place by her future tyrant of a mother in law, the zero f's giving Archduchess Sophie. 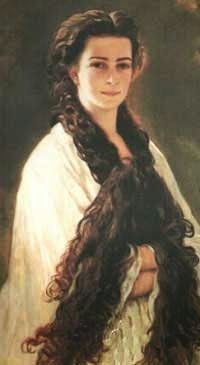 The beautiful, emotional young Sisi unintentionally threw off Sophie's plans when Franz Joseph fell in love the fifteen year old at first sight. Sisi's overflowing passion wasn't something she naturally knew how to hide. 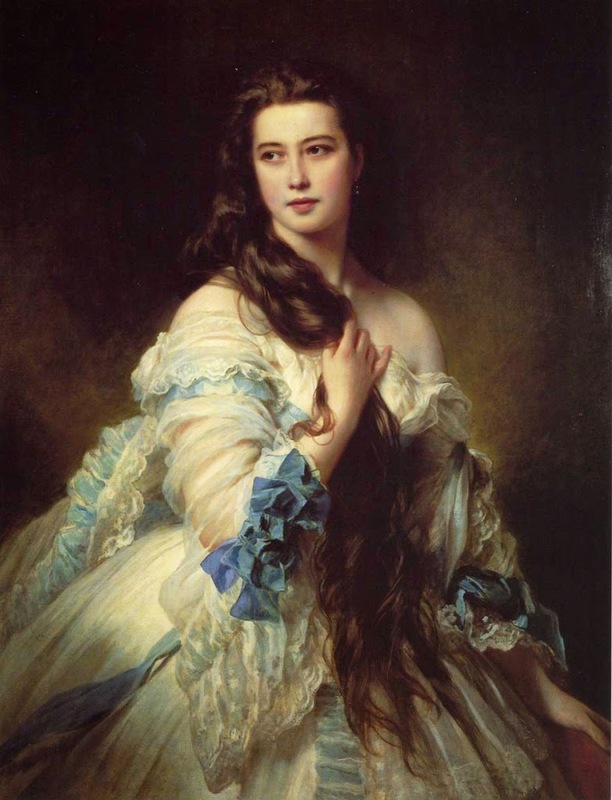 The Archduchess was known as the real "man in charge" and strongly believed individual wants were insignificant. Less then thrilled about the turn of events, Sisi's arrival at court was disastrous. Sisi fled meetings in tears and had difficulty with conversations. Court laws made it worse as people were only allowed to talk to her if a question was asked. Sisi quickly became known for her depression, that was deeper then her new environment. She struggled with her inability to enjoy her fortunate circumstances. She showed her maturity at a young age in her many poems. This girl literally would have invented the #firstworldproblems hashtag. She also seemed to see the irony in it all. Sisi fulfilled her duty of childbearing, a task she hated for the havoc it brought on her body. 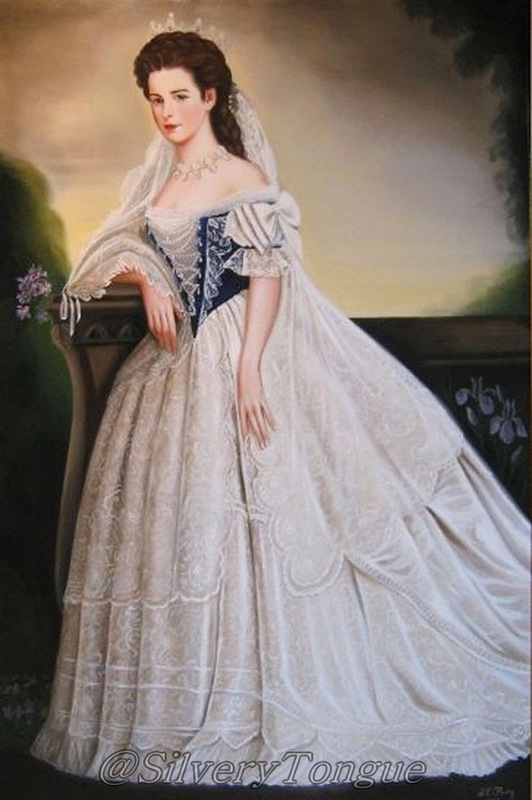 She gave birth to four children who were immediately taken away from her and named by the Archduchess. She preoccupied her misfortune by throwing herself into a strict diet and exercise regime to quickly get her body back. This girl bounced back faster then Beyonce and on much less nutrition. She was often sick because of her eating disorders. Sisi went through great lengths as she grew older to maintain the hitmaker beauty status she had grown into. She bathed in olive oil and would rarely allow a photo to be taken of her as she matured. She was rumoured to never look a day past thirty. Sisi had misfortunes that went beyond her mother in law. Her only son died from a suicide pact made with his mistress. Sisi was rumoured to rock "all black everything", long after. She was eventually stabbed in the street by an anarchist. The injury was not instantly noticed, due to the tightness of her corset. Sisi has been a notable inspiration you've noticed for years. Fashion designers flock to her legacy. She was the inspiration behind the recent Chanel Fairytale video with Cara Delevigne and Pharrel Willams. 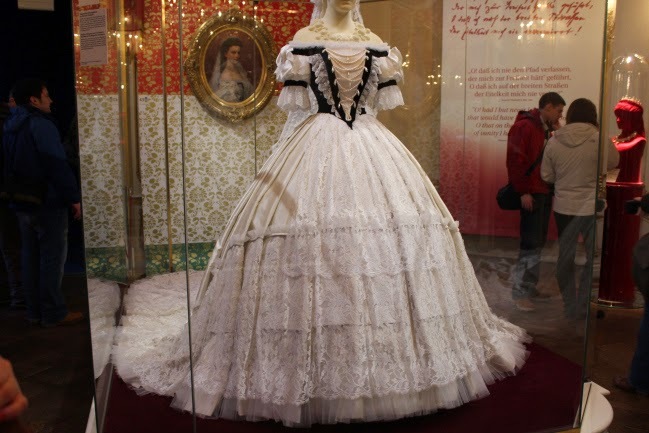 Jessica Simpson's wedding dress took inspiration from her. 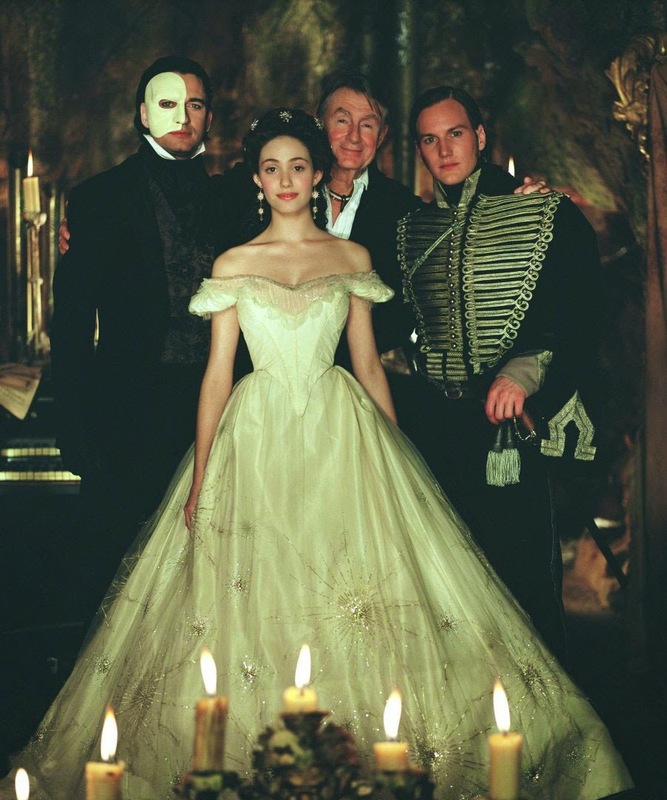 I also didn't realize the The Phantom of the Opera was basically a cosplay. I'm obviously no historian or writer but I find Sisi fascinating and much more relatable to my generation in unique ways for women of history. I don't think I've screwed up majorly in anything I wrote but this isn't exactly a well researched article. I would totally encourage you to read up on her. Jezebel did a great summary of her life and The Beauty Gypsy has a detailed post of her beauty rituals. There are tons of great blog posts on the internet of this amazing woman. Please share any good ones you find with me! Thanks for reading. الاجتماعى فانت الان تمتلك افضل الشركات التى تقوم بهذه الخدمة الان .